The BAKFlip HD Hard Folding Tonneau Cover is available for most domestic and imported pickup trucks. If you're in the market for a solid, robust, Heavy Duty, all season Truck Bed Cover that performs as well as it looks, the BAKFlip HD, all aluminum hard folding tonneau is built for you. 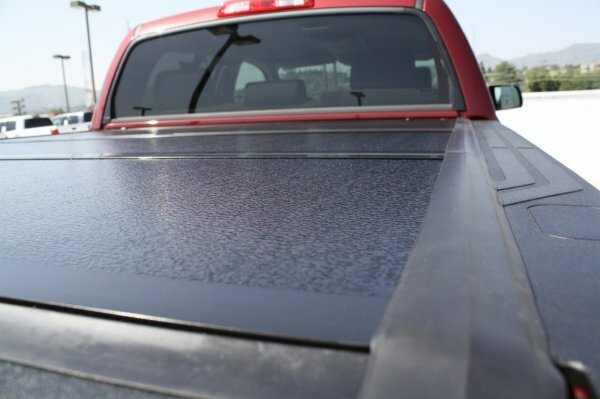 The BAKFlip HD is the perfect all aluminum tonneau cover for work and play. The BAKFlip HD is widely available for most models of Chevy, GMC, Dodge, Ford, Honda, Nissan, Toyota, Mazda, Isuzu, Mitsubishi and VW pickup trucks. Feel free to browse through the BAKFlip HD products and select one that's right for you. 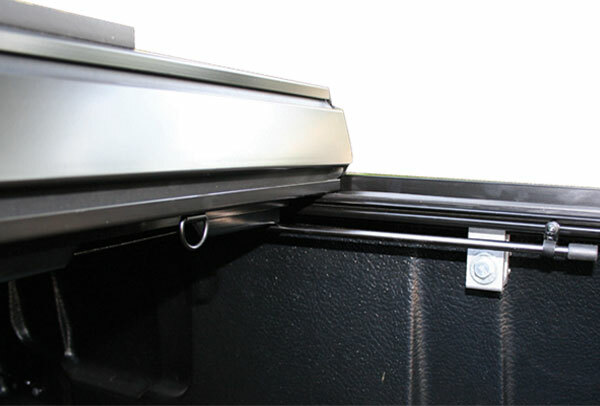 The BAKFlip HD is a Heavy Duty Hard Folding Tonneau Cover, designed to deliver on all levels. The BAKFlip HD is made from tough aluminum panels with a dense, yet lightweight core that when operated, will instantly leave you with a sense that you're handling a tonneau cover built to perform. 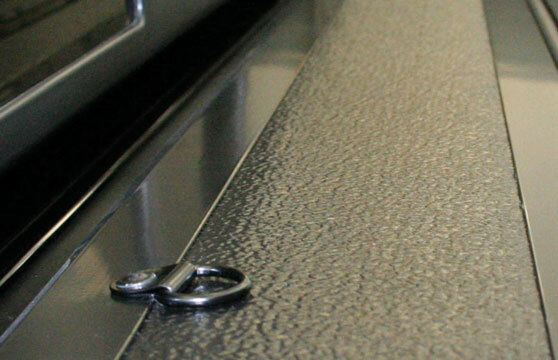 The BAKFlip HD is a sleek, stealth truck bed cover with upgraded, flush designed hinges for superior water resistance. It also has newly designed scuff resistant rubber components that will not deteriorate over time and will remain looking good over the long haul. The BAKFlip HD has injection older cable release covers under the tonneau cover, ensuring the refinement that you'd expect from an OEM tonneau cover. The HD also has powder coated finishings that stand up to heavy duty use. In addition to giving you full and unobstructed use of your entire truck bed, the BAKFlip HD is also designed to protect your cab from shifting loads. It's uniquely patented operation and ability to fold completely passed the 90 degree point when fully folded, ensures that side wind gusts won't affect the tonneau cover. This feature also ensures that the cab is protected from shifting loads, as well as allowing you to drive with the cover open legally, as it does not block your third break light. The BAKFlip HD is a very robust tonneau cover. It has improved rails for better performance in areas with heavy rainfalls and is backed by the absolute best warranty in the business. The BAKFlip HD tonneau cover is also designed to work seamlessly with BAK's toolbox, the folding BAKBOX, as well as the CS ladder rack system. If you're looking for a heavy duty tonneau cover that's built to work as hard as it plays, the BAKFlip HD is right for you.